Funnel Cake! : This Week’s Happy! – Happy. Homeschooling. Housewife. Today’s Happy is all about Khari. I must give a giant THANK YOU to the kind ladies who work with him. He told them about the first time he went to King’s Dominion. He shared with them that he had only $5.00 to his name. Everybody kept talking about how great the funnel cakes were. He used every cent of his $5.00 and bought his first funnel cake. And then…do to his excitement (he thinks he might have been doing a happy dance) he dropped the funnel cake on the ground. Needless to say he was crushed. It took him ten years to get back to King’s Dominion and actually eat his 1st funnel cake. Khari shared this memory with the ladies at his office and for his birthday they decided to bring funnel cakes directly to him and gave him a Funnel Cake Kit. 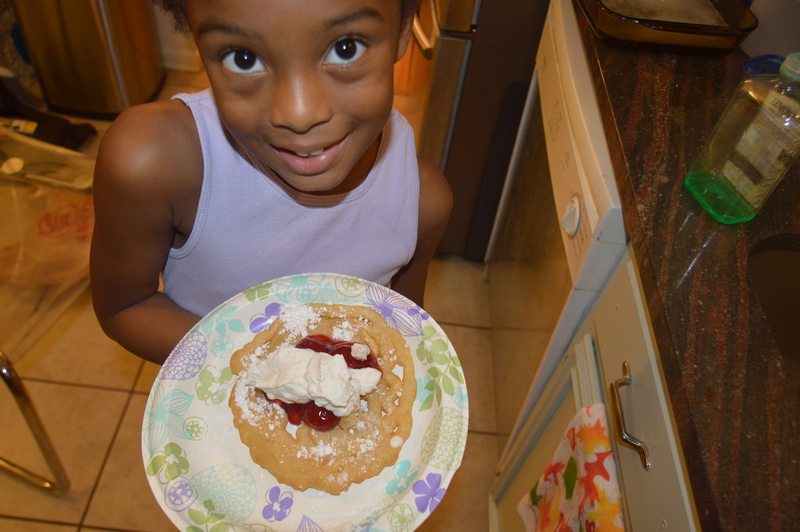 Today (almost a month after his birthday) we opened the box and created our very own funnel cakes. Super THANK YOU for putting such a huge smile on my hubby’s face. The girls were beyond thrilled…they were AMAZED! It was like magic was happening right in their very own kitchen. And it was. The kit comes complete with a funnel cake pitcher, frying ring and the mix. We topped ours with homemade vanilla whipped cream, strawberries and confectioner’s sugar. Stay Encouraged, Be Blessed & Eat Cake! 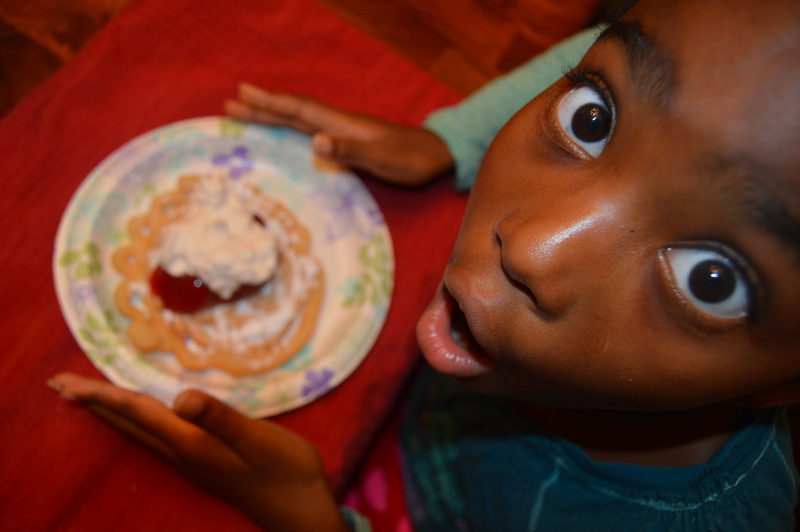 Thank you so much for sharing Khari’s love for funnel cakes…now we know!! !